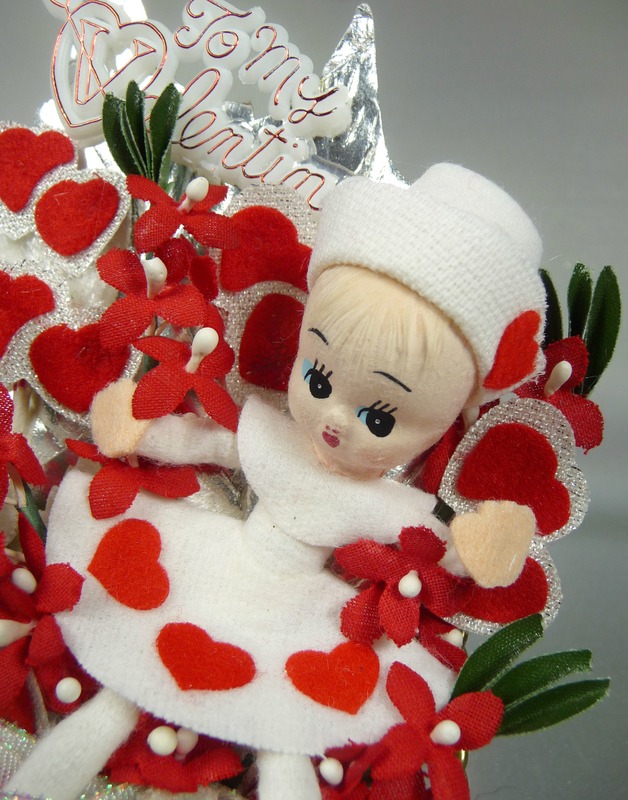 Vintage Valentine’s Day Corsages Now in the Shop! Happy New Year everyone! Since Christmas I have been relaxing, and making some new holiday corsages that I am now listing in my Etsy shop. I have new corsages listed for Valentine’s Day, St. Patrick’s Day, and even a couple of new ones for Easter, birthdays, and patriotic themes. Let me know if you need a custom corsage for any of these holidays! The weather is cold, you can’t go outside, so I invite you to sit down with a cup of hot tea and browse through my millinery shop, A Pink Swan. 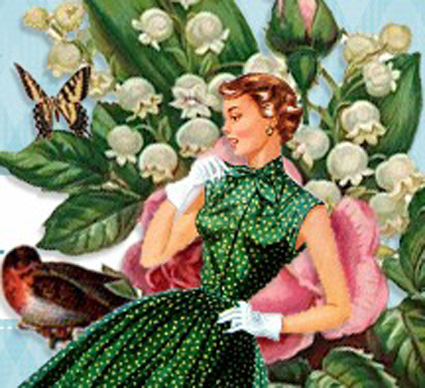 I have HUNDREDS of millinery flowers and leaves listed, and it is a lot of fun to look through these exquisite vintage and contemporary finds. I carry only high quality silk and velvet millinery – none of that “plastic stem” garbage! If you are a hat lover like me, you are already planning your Spring hats! I am listing new items almost every day, so you’ll never be bored! Look for a number of changes in both shops in 2014! I am working on a new product line for my corsage shop (Meaicp), and I will carry an expanded array of millinery items in A Pink Swan later this year. Thanks for your support – and best wishes for a Happy 2014! Vintage Christmas Corsages and Tea Cup Gift Sets ON SALE now! Vintage Easter Corsages Now in the Shop!